An exhibition devoted to the works of Anni Albers runs at the Tate Modern, London from 11 October 2018 to 27 January 2019. This exhibition, co-organised by Tate Modern and the Kunstammerlung Nordrhein-Westfalen, is one of few to represent the works, writings and teachings of Anni Albers on their own merit, without immersing them in the context of the Bauhaus, the Black Mountain College or the Modernist movement of which latter she was one of the main protagonists. Despite dedicating her life and career to her discipline, Anni Albers’ body of work and her contribution to the art world in general has been largely overlooked. Anni Albers enrolled in the weaving programme at the Bauhaus despite originally wanting to study painting. The Bauhaus’ progressive attitudes towards art and craft, and the study and teaching of both, did not extend as far as allowing women to study in any field they chose. The school’s directorship saw weaving as a more suitable discipline for female students. Despite being swayed from her original path, Albers always considered herself an artist and designer. An attitude that was utterly vindicated when in 1949 Albers became the first designer to have a one-person exhibition at New York’s Museum of Modern Art, firmly establishing her as one of the most important designers of the day. Albers devoted most of her life and her entire career to the study, practice and teaching of weaving. She became an inspiring writer and teacher at both the Bauhaus and Black Mountain College, passing on technical and cultural knowledge and experience of weaving and textile design to future generations. Credited with reviving academic interest in weaving and textile art, she brought it into the sphere of modern artistic and cultural practice, blurring the traditional European/western distinction between art and craft. So much at the forefront of the Fiber Art movement was she, that she was not only ahead of her time but a generation ahead of the 21st century conceptual artists who regularly use textiles as part of their multimedia praxes. 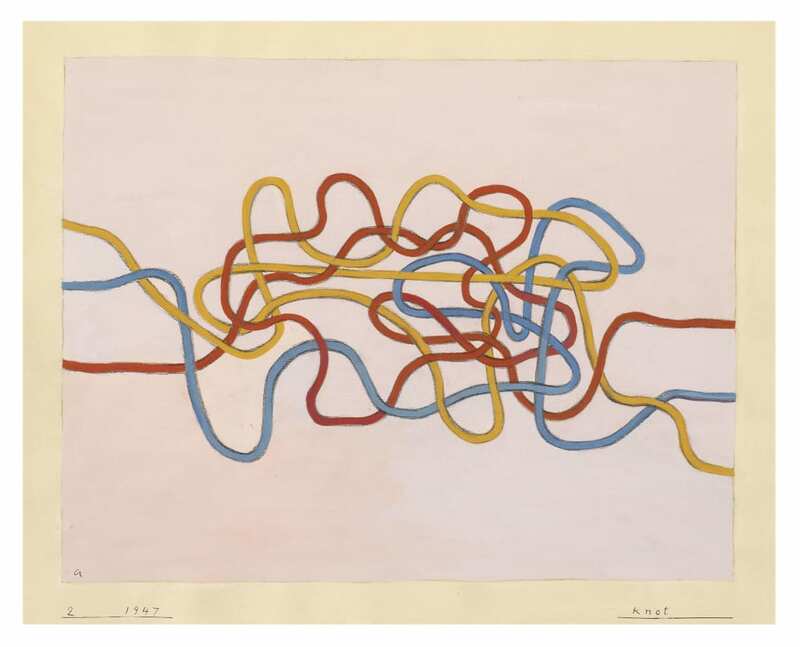 In the past, Albers’ work has often been presented in the context of the Bauhaus of Black Mountain landscape/narrative, or alongside that of her husband, Josef. Very rarely has her work been presented in a solo exhibition. This exhibition showcases her broad and vital contribution to 20th century Modernism and the field of textile art, and to heighten public awareness of the artist and her work. The works on display in this latest exhibition cover the entire length of Albers’ career, from her student and teaching days at the Bauhaus, through her years at Black Mountain College and Yale, examining in detail her technical and artistic skills as well as her design and teaching ethos. 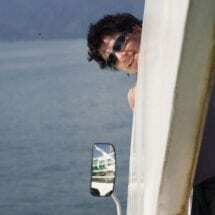 They also detail her forays into jewellery and printmaking, and explore her interest in Monte Albán in Mexico, and her collection of Andean textiles and pre-Hispanic objects. Walking through Albers’ career is to walk through a history of fabric design and weaving technology covering at least half a century. Beginning with the wall hangings created during her studies at the Bauhaus, we see typical early Modernist design, featuring geometric blocks and lines of strong, often contrasting colours these pieces are shown alongside the “sketches” of their design. Their freshness and dynamism is still striking today. In direct contrast to her Bauhaus works, although contemporary with them, are her monumental wall coverings, designed for the Trade Union School in Bernau. Despite lacking the decorative elements of her student pieces, these large works showcase Albers’ technical expertise in weaving, focusing on the Modernist ethos of functionality. This exhibition catalogues Albers’ weaving patterns and constructions, drawn from her Black Mountain College days, her studio work in Connecticut and her commissions for Harvard, alongside her sketches of those deigns and techniques, featuring coloured threads, knotwork and general ideas for future projects. We are treated to insights in to Albers’ life beyond weaving, significant artefacts from her pre-Hispanic collections, items of jewellery she constructed from readymade multiple objects, exercises for her students, her writings on design and weaving. Also featured are works from her time exploring printmaking techniques, new ways to design and create pattern and form. It is, however, the woven wall hangings that dominate this exhibition. 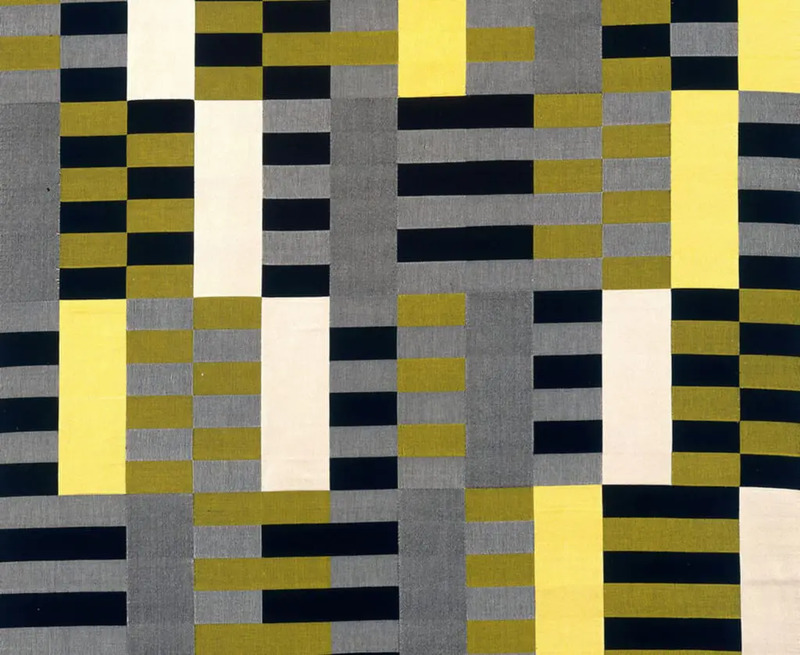 Albers was one of the 20th century’s most prolific weavers. 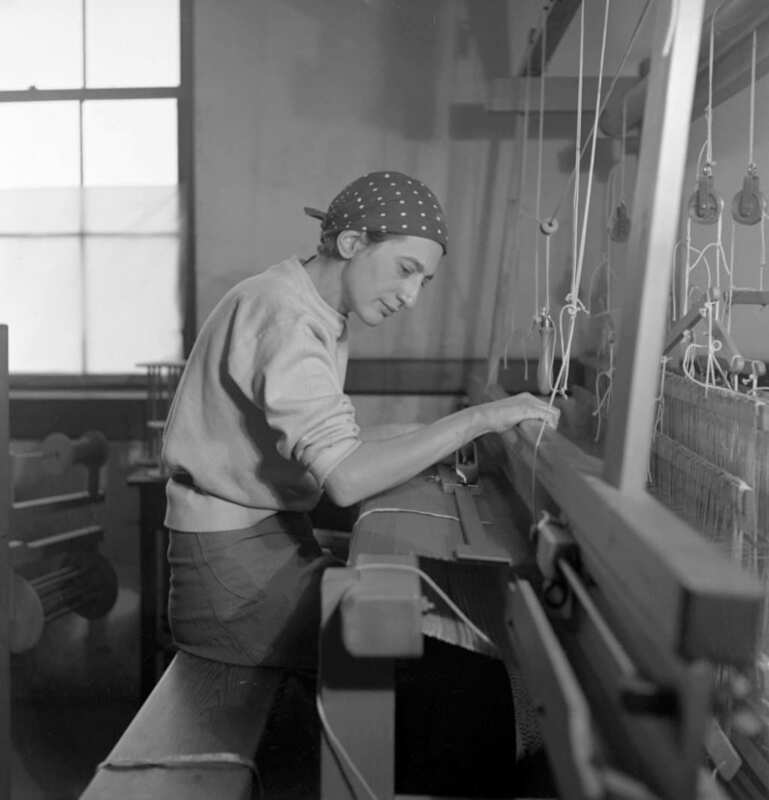 She did more than anyone to reintroduce weaving to the art and design schools of the west, not only as a craft and a means of producing functional objects but elevating it to the level of high art, lifting it onto a platform on which following generations of artists could construct their works and incorporate the threads of Albers’ legacy. For more information on the Anni Albers exhibition or to book tickets, click here. Cover photo, Anni Albers Rug 1959.